Marriott International has appointed Marwan Fadel as the general manager of The St. Regis Saadiyat Island Resort in Abu Dhabi, United Arab Emirates. A Lebanese national, Fadel has nearly two decades of hospitality experience across the Middle East. In his new role, he will oversee all management functions, hotel operations, and new innovations, aiming to achieve planned goals for the resort. “The St. Regis Saadiyat Island Resort, Abu Dhabi, was the first official debut of bespoke St. Regis hospitality in the region, making Abu Dhabi the first city in the Middle East to be host to its rich heritage, and I feel especially attached to it, having worked here since the hotel was still under construction,” said Fadel. “As a passionate hotelier, I am committed to providing authentic hospitality and inspiring my team to deliver exquisite experiences to our discerning guests. Fadel’s appointment comes 18 months after he became hotel manager of The St. Regis Saadiyat Island Resort, Abu Dhabi, home to six restaurants, an athletics club, and Abu Dhabi’s only Iridium Spa. The five-star property features 376 guest rooms and suites include the 2,100 sqm Royal Suite, a duplex spanning the two uppermost floors. Fadel moved to the UAE capital in 2011 to oversee its launch and was promoted to the role of hotel manager in August 2016. Since that time, he has maintained the St. Regis brand’s standards and forged strong strategic partnerships within the travel and tourism industry. He began his career in 2002, working for Sheraton Hotels & Resorts, and was promoted to several senior management roles within the company. Seven years later, he became area director of sales and marketing for Starwood Hotels & Resorts’ Dubai properties; his remit was subsequently expanded to encompass Abu Dhabi and northern emirates. Inspired by the distinctive, century-old legacy of New York’s Astor family, The St. Regis Saadiyat Island Resort, Abu Dhabi is the city’s first true beach resort. Combining a unique blend of refined elegance with enduring heritage, the resort stays true to the Astor vision of creating “the finest hotel in the world”. The property is considered the World’s Leading Resort Residences, the Middle East’s Leading Resort Residences, and Abu Dhabi’s Leading Beach Resort by the World Travel Awards. 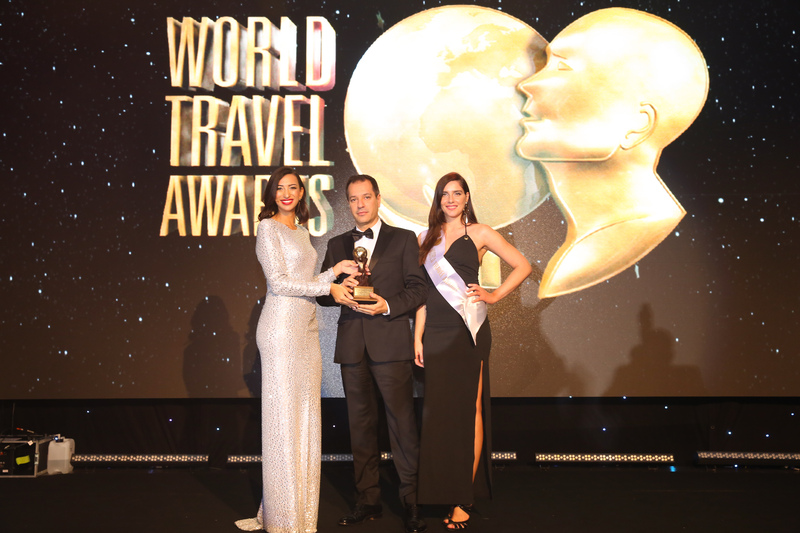 Voters at the World Golf Awards also recognised the property as the Middle East’s Best Golf Hotel last year.